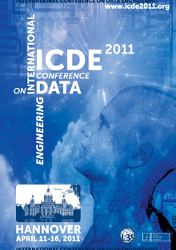 Below is a preliminary version of the ICDE 2011 conference program. More details will be added as they become available. Please look at the floor plan to find the layout of the different conference rooms.